I have a lot of crafting projects going right now, and I want to share! I’ll post as I finish items. 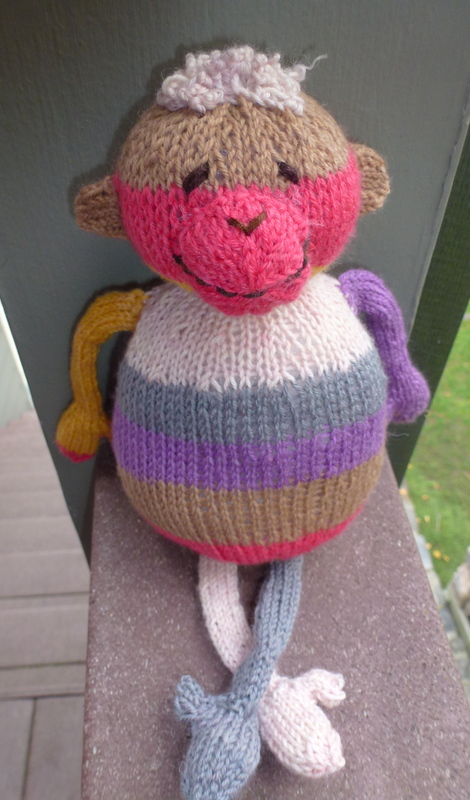 My most recent finished object is one of the sock monkeys from Itty Bitty Toys. My 1-year-old is obsessed with the sock monkey pattern in there. It is not a traditional sock monkey. You knit the whole thing out of sock yarn. She asks to see the book several times a day, and she will cry if she can’t find the page with the sock monkey on it. I finished this little monkey last night, and I can’t wait for Christmas morning! Squeeeee!